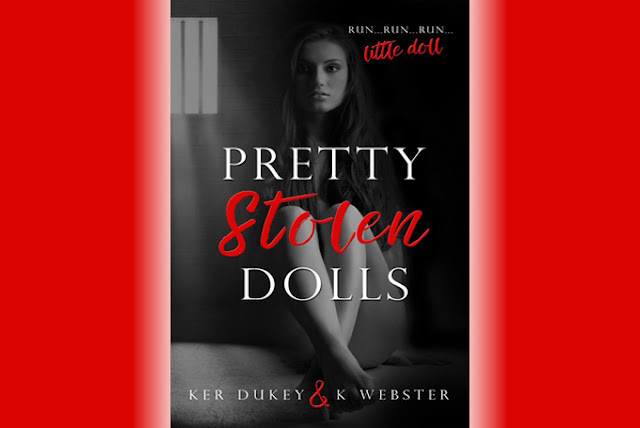 THE PRETTY STOLEN DOLLS by Ker Dukey and K. Webster is the most emotional book I’ve read for years. Readers have chance read not only love story but also about dangerous and unsuspected moments which can happen in the real life. Novel is also about the past, events and decisions which can change your life. The book is a very real warning that we can’t trust everyone who meets and who is kind person. Among others I talk with the authors. I’m glad that my website Kulturalne Rozmowy can patronize such an amazing book. Ker: It was our readers that brought us together. There were always comments on social media about how they would love to see a collaboration between us two. It turned out we were both fans of each others writing and thought, let us see if this can work. It worked incredibly well. We flow very well together and have gained a beautiful friendship from our collaborations. Yes, this collaboration was really fantastic. To be an author – did your dream about this when you was a children or you just decided to became an author when you were adult? Ker: Writing has always been a passion of mine. I started writing song lyrics from a young age, and that developed into poems and short stories and then novels. Why this story is so dark? Couldn’t you write something normal for everyone? Ker: I think normal is like beauty, people’s version of it differs. Darkness is some people's normal. I like to give people the unexpected, a chase, and thrill while they’re reading. Normal is overrated in my opinion. I see. Imagine that you have a little bit of free time. How would you spend it? What did you do first? K. Webster: Whenever I have a little bit of free time, I dive into a good book, go shopping, or go out to dinner. I love going out to eat or to the movies! Really, that’s all? If you would have chance to write THE PRETTY STOLEN DOLLS once again, what would you change? Ker: Nothing honestly. We put a piece of ourselves into those novels, and I love the outcome. We created a dark, sinister world with characters that are the villains, yet you can’t help the pull you have toward them. Benny has a very cult-like fan base, and I wouldn’t trade that for anything. Which of these characters are your favourite and why? K. Webster: My favourite characters in THE PRETTY STOLEN DOLLS series are Benny and Viktor. You meet Viktor in the third book. I love them because they are psychopaths with hearts. They’re evil and naughty, but sometimes they’re good and love. I love when they can be both good and bad… It creates some confusion with the readers because they want to hate them but can’t always do that. Is this novel based on a true story, or all what happened was created in your imagination? Ker: You can sleep tonight, Benny is pure fiction (smile). Oh, great news. Thank you (smile). Benjamin is a really dangerous man. How did you know this all details about his behaviour? Did you based this part on any documents from police? Ker: A lot of research goes into a character as complex as Benny. He's not based on an actual person. He is pure fiction, however, the traits that make up his psyche are well researched to form a reality of what it’s like to have psychopath tendencies. I find these characters fascinating to write. Your book isn’t for sensitive people. Do you have any limits during writing this all brutal scenes or you don’t think about it and just write and hope that good novel will be accepted by all readers with all brutal details? Ker: I’m known for my dark traits and have a following who look for this when picking up a Ker Dukey title. I don’t censor myself when writing, and I allow the characters to tell the story no matter how dark that may be. Not all readers will like and accept the same thing, and I know that. I can’t please everyone, but as long as I stay true to myself and my characters and write what speaks to me, I’m happy. Let’s change subject of our interview. Do you read reviews? If yes, how do you deal with negative opinions? Ker: I respect all reviews, every author will get a negative review at some point, but I don’t allow them to stop my creativity. What is the most difficult during writing? K. Webster: The most difficult thing during writing is staying focused. I could write all day, every day, but there are many distractions to keep me from doing so. Family. Television. Dog barking. I like getting wrapped up in my writing world and get frustrated when it keeps getting interrupted (smile)! We know that in Poland for a few months will published the second part of THE PRETTY STOLEN DOLLS. It’s great. What surprise readers in this book? Ker: The second book is intense and fast paced. It will have twist and turns that will have you on the edge of your seat. I won’t ruin the book by telling you surprises but it does have the gasp moments that we’re known for. I hope you enjoy PRETTY LOST DOLLS and thank you for coming on this journey with us. I’m sure that your next novel will be the same amazing like THE PRETTY STOLEN DOLLS. 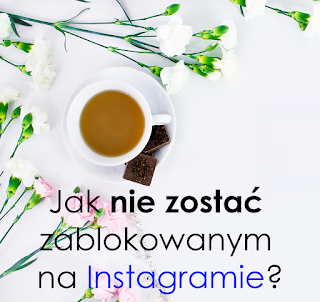 Thank you for your time and my Polish readers I invite to read Polish version of this interview here. And here is review of next part of serie.